Our human organism has a limited capacity for prolonged periods of activity. This capacity for work can perhaps be extended indefinitely through proper discipline, but rest and relaxation is part of this discipline. Prolonged expenditure of energy in work, long journeys for commuting to the workplace, friction and conflict in interpersonal relationship, monotony, anxiety and tension are other factors which lead to exhaustion. All these factors are very much present in our modern work-environment and take their toll on the health and energy-level of the employee. Apart from energy consideration, we need a certain amount of leisure and inner and outer space to pursue our higher development. So rest, relaxation and leisure are indispensable for recuperation of our energies and also for our higher growth. So the human worker should not be driven heartlessly like a machine, setting impossible targets or forcing her to work for inordinately long periods. A humane corporate culture which truly cares for the well-being of the work-force must provide sufficient rest and relaxation for its employees. But the practical question is what are the most effective forms of rest and relaxation which can energise the work force, enhances their well-being and help them to grow? This article examines this question in the corporate context. The popular conception of rest and relaxation are doing nothing or inertia, sleep or amusement. When they are done in the right way they can lead to positive results. But mostly they are done in the wrong way leading to undesirable results. Doing nothing outwardly or inertia of the body without inner rest and peace in the mind results mostly in mental fatigue and exhaustion due to excessive and compulsive mental activity. However if the outer inertia is used as an opportunity to establish inner peace in our mind then it is a wonderful source of rest and relaxation. A few minutes of such inner peace and silence can provide not only positive rest and relaxation to both body and mind but also help in recuperating the lost energy. If we are able to establish a constant inner peace and silence in our mind and heart then we can remain restful and relaxed even in the midst of intense and prolonged activity. But this is a little advanced inner state for most of the average folks like us. But even in our present average condition, with a little bit of persistent practice we can obtain the ability, if not to silence the mind entirely, to withdraw or step back inwardly from all inner or outer disturbances and maintain a certain amount of inner calm throughout the day, especially during work. Some of the latest researches have found that a brief afternoon lap after meals is as much needed for the body’s rest as sleep in the night. Interestingly some companies permit and provide facilities for its executives to take a brief after meals nap and they found it beneficial to work and productivity. These are experiments worth trying, along with techniques for enhancing the quality of the nap. We need to enjoy life and the right enjoyment of life is a source of relaxation. Entertainments and amusements are one form of enjoyment. All activities which help to “unwind” ourselves in a relaxed frame of mind like social or cultural get-togethers, family retreats, games, healthy films, light reading and laughter can be of much help in providing rest to body and mind. But here also activities and entertainments which lead to excessive excitement of senses or induces negative feelings like lust and violence or drags down the consciousness into a state of loose, lethargic, chaotic and imbalanced haze are not helpful to wholesome human well being. Humour is a great relaxer and an important factor of well being which has to be consciously encouraged and promoted in the corporate life. But here again, sarcastic comments at the expense of others, which hurt others’ feeling will only accentuate conflict and are not conducive to wellness. All forms of beauty and harmony, or in other words beautiful and harmonious sounds and forms like music, flowers, art forms, images of Nature or the sweet face of a child induces relaxation. Music can be a marvelous source of relaxation especially for those knowledge-workers who are engaged in intense intellectual activity like for example in research and development. Einstein’s love for music is well-known. Einstein’s son Hans Albert recalls ‘Whenever he felt that he had come to the end of the road or into a difficult situation in his work, he would take refuge in music—- That would usually resolve all his difficulties’ (Mozart and Einstein The Hindu, Feb1, 2006). The corporate mind has to think out how to incorporate these aesthetic factors into the material and mental environment of organisations. Light reading or studies, interests and hobbies which are not related to the professional occupation of employees can also bring relaxation. A former prime minister of India once said that reading a good book gives her a much greater relaxation than sleeping or doing nothing. There are executives in the corporate world who find relaxation in studies unrelated to their professional disciplines. For those who have a healthy and harmonious family life, spending time with family and children is a haven of relaxation. So, all attempts and practices which felicitate the integration of the family life with the professional life and provide time and opportunity for the employees to spend more time with the family are helpful and beneficial to corporate wellness. We may include here some of the emerging corporate practices and concepts like work-life balance, flexitime, 5-day week, paid holidays for employees to celebrate important occasions like birthday or marriage anniversaries and longer vacations. “About forty-five minutes later, I’m backing the Buick out of the garage. It’s still dark outside. But a few miles down the road the sky lightens. Halfway to the city, the sun rises. By then, I’m too busy thinking to notice it at first. I glance to the side, it’s floating out there beyond the tree. What makes me mad sometimes is that-like most other people, I guess-I don’t have time to all the daily miracles going on around me. Instead of letting my eyes drink in the dawn, I’m watching the road and worrying about Peach. He’s called a meeting at Headquarters for all the people who directly repot to him—-” (The Goal, by Eliyehu M. Goldraft and Jee Cox, Gower, 1984). Here is a difficult and challenging problem for the future of corporate management, not for those who don’t care for the well being of their employees, but for the more progressive, caring and humane corporate manager. Factors like long working hours, uncertainty about the job and target-oriented work are increasingly becoming the norms of the new corporate culture. But if the professional life and its needs and anxieties occupies our mind with an overwhelming force, overshadowing other equally or even more important aspects of life, then we cannot grow into integrated human beings. So the progressive mind of the corporate world has to find a pragmatic solution to this problem. To begin with those employees who have a higher aspiration and striving sincerely for realising a higher ideal has to be given sufficient leisure and opportunities to pursue their higher aims. For as the historian, Arnold Toynbee pointed out in the history of human progress every change and progress is affected first by a “creative minority” and slowly spreads into the majority. 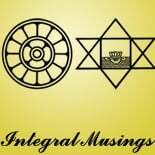 This entry was posted on September 27, 2012 by integralmusings in Harnessing the Human Potential.